Thanks to swing sensors and laser range-finders, golfing data allows players and coaches to analyze their games and improve performance. Golf players and fans alike have long had an affinity for data. Websites like golfstats.com can already reveal in-depth details about the career of your favorite golfer, from the number of tournament ‘wins’ and ‘best finishes’ to more specific match details, such as ‘most fairways hit’ and ‘longest driving average’. As big data analytics and hybrid cloud solutions become more pervasive in sport, often revolutionizing the way teams and individuals function, tech firms are increasingly applying technology to track stats and performance. New devices and systems are improving data collection, while statistical analysis can create new, info-rich ways to train, play and even watch the sport with enhanced detail. This technology ranges from swing sensors and grip guides to shot trackers and virtual caddies, while modern data analytics is helping players examine their form in exhaustive digital detail, highlighting areas where they can improve. Sensors provide the raw data (like swing speed) and analytics deliver the insight (% of greens hit). At the top-end of the game, the most ubiquitous technology is PGA ShotLink. Initially designed as a system to catalogue historical data, its data feeds are now being used by top-flight players to improve the way they play. Collecting and disseminating scoring and performance stats in real-time, it also provides a wealth of statistical information for broadcasters.The system traces its origins back to 1983, when the PGA Tour implemented its first electronic scoreboard. Today, ShotLink is used across 93 events a year, providing in-depth data for a variety of users. Operated by a team of volunteers (around 350 per event) and PGA Tour staff, the system works by laser mapping each golf course. This creates a digital image that can be used to calculate exact locations and distances between any two coordinates, such as the player’s current location and the green.It’s just one way of analysing a golfer’s performance. 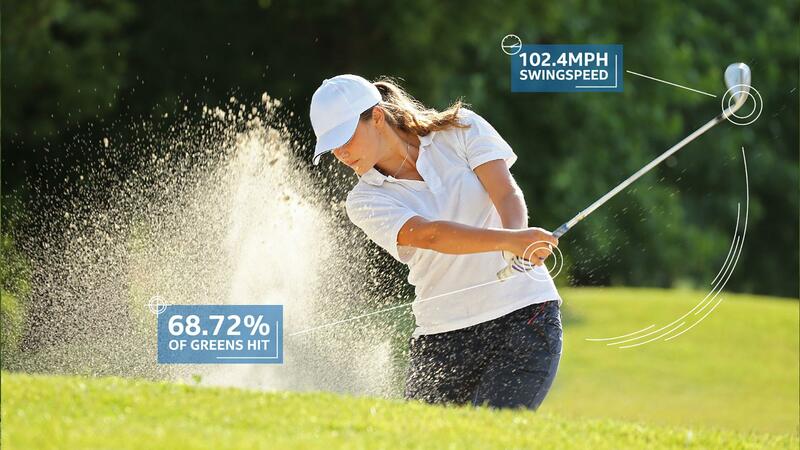 Last year GolfTEC launched what it called the first big data-driven investigation into what makes a good golfer, analysing 13,000 pros and amateurs across 48 different body motions per swing. Using an array of motion sensors, cameras and monitors, the SwingTRU Motion Study captured 225 terabytes of data. Tracking key data points enables golfers to see which elements of their game need improvement. There are six key areas that separate an excellent golfer from a competent on. Measuring every tiny movement, the study identified six key areas that can point to the difference between an excellent player and a competent one. These are: hip sway at the top of the swing; shoulder tilt at the top of the swing; hip sway at the point of impact; shoulder tilt at the point of impact; hip turn at the point of impact; and shoulder bend at the finish of the swing. The study identified these movements as statistically linked to improved performance, allowing players to measure their swing against a benchmark and adjust where needed. Elsewhere, the TrackMan system maps what it calls ‘swing DNA’ by monitoring granular variations in motion. Pitched at coaches as a tool to help train golfers, it uses a combination of HD cameras and microwave transmissions that reflect back from a moving golf club and golf ball. The change in frequency of these waves allows the system to track what happens at the exact moment club hits ball. TrackMan can be used inside or outside, and the data it gathers can be viewed on a tablet or phone. It boasts users such as PGA tour winners Ian Poulter and Jason Dufner, and golfing instructors Grant Waite and Sean Foley. 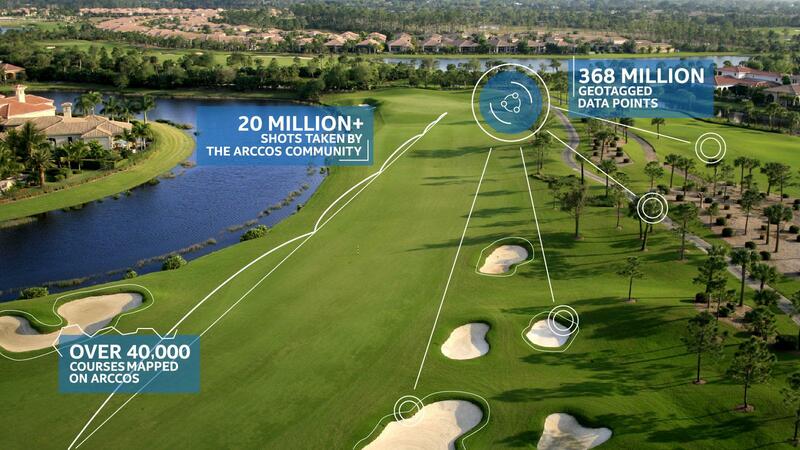 The Arccos Golf system leverages community data and acts as a ‘virtual caddie’ as you play. Much of this professional-level tech can be used by amateur golfers too. Through a combination of club mounted sensors and GPS, the Arccos Golf system captures performance data in real time. Using data analytics and artificial intelligence, the Arccos software then provides specific advice on how to improve each shot. The system captures thousands of data points during every round, and users are given specific advice by the software on how far to hit each shot, which club to use depending on the situation, and what skills they need to brush up on. This information can be cross-referenced with over 120 million shots stored on its system, as well as 368 million geotagged data points on more than 40,000 courses. It can also account for elevation and weather data, including wind speed, wind direction, precipitation, and temperature. Big data analytics can even have implications on course management and operations. FairwayIQ, for example, captures data on how and when players interact with courses, allowing owners to more efficiently and effectively maintain them. The golf course management system does this by connecting and measuring everything that moves on the course by attaching smart tags to bags, carts, push trollies, caddies, staff, and maintenance equipment. These constantly collect data, which is transmitted to a server and piped through an algorithm. The result is a real-time overview of course health, one that can highlight traffic patterns and pace of play management issues. Benchmarked against data from other courses, this can inform design or even logistical changes to the course itself. Whether you’re an amateur trying to improve your casual game, or a top-level professional aiming to compete on the international stage, data is becoming a bigger part of the modern golf game than ever before.